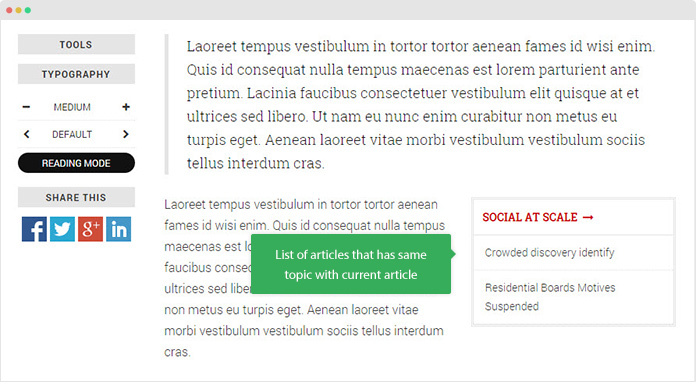 JA Content Type plugin is developed to extend Joomla core content component (com_content). 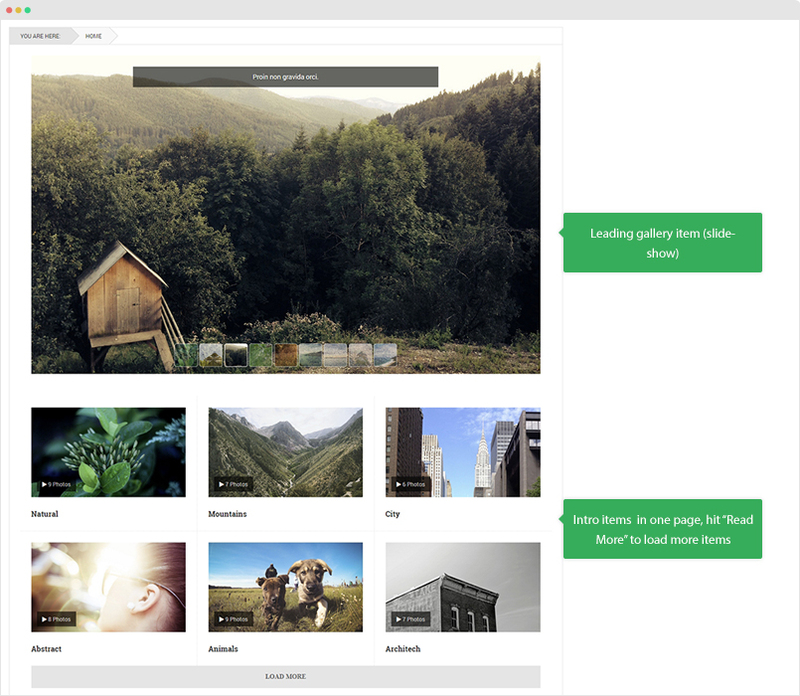 In details, it allows you to create more content types. 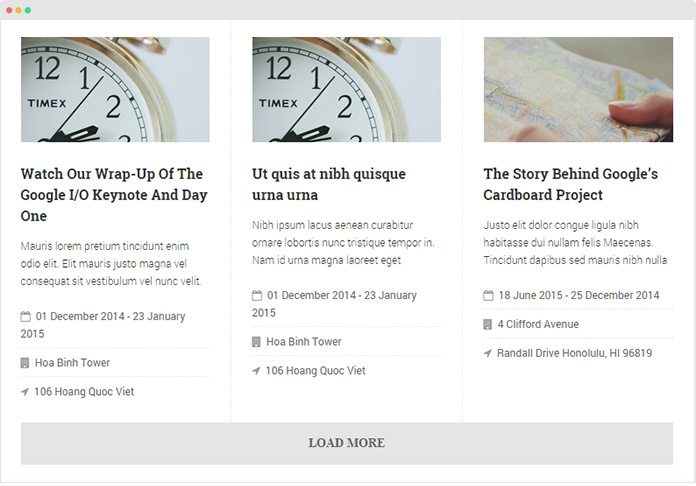 A real sample is JA Teline V, the template adds 4 extra custom content types that override Joomla com_content. 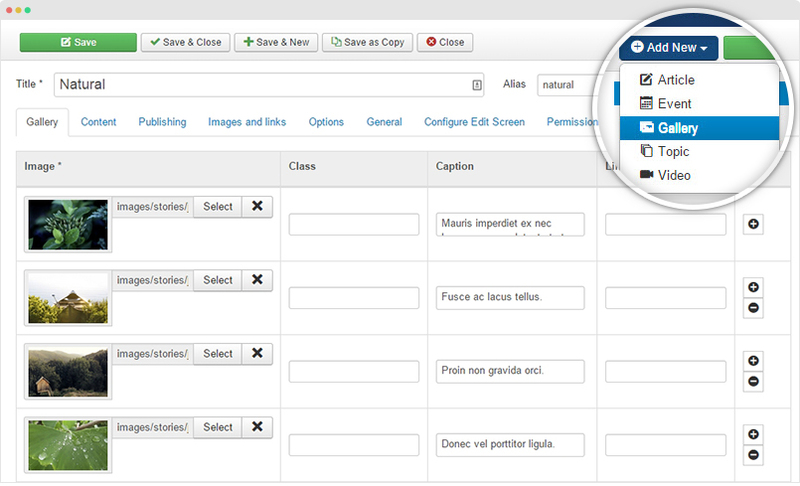 In each content type, we add more custom fields while keeping all default Joomla Article fields and each content type has its own view, structure and style. 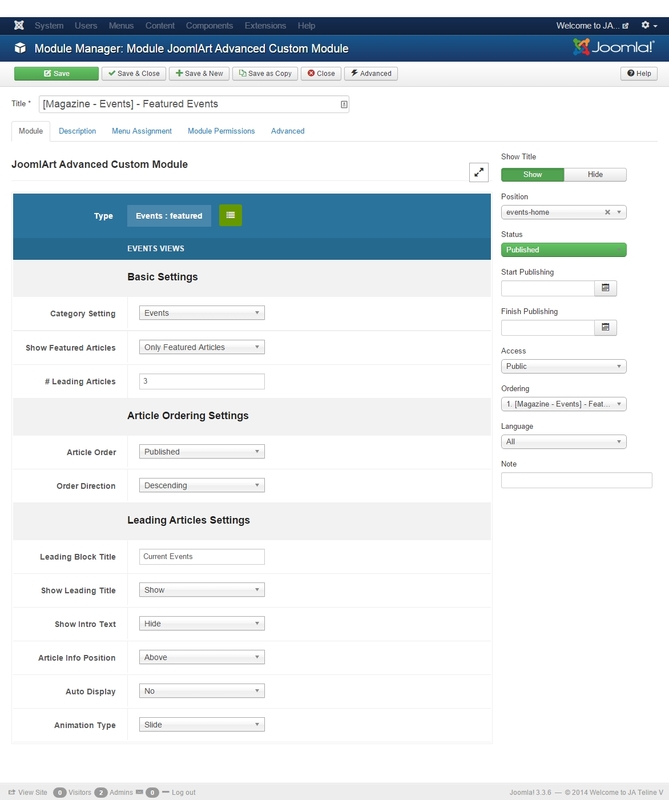 To make the content types available in your site, install JA Content Type System plugin and JA Content Type Ajax plugin and enable it. 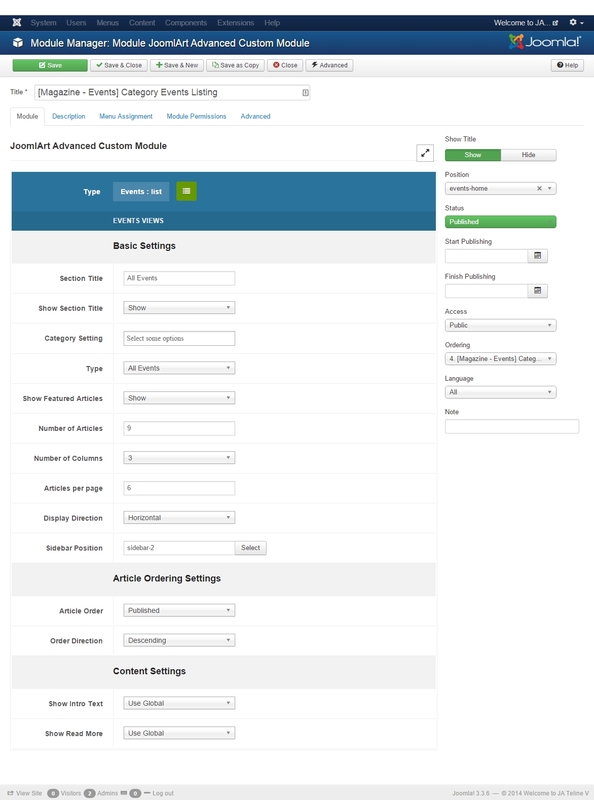 JA Teline V adds 4 extra custom content types that override Joomla com_content. 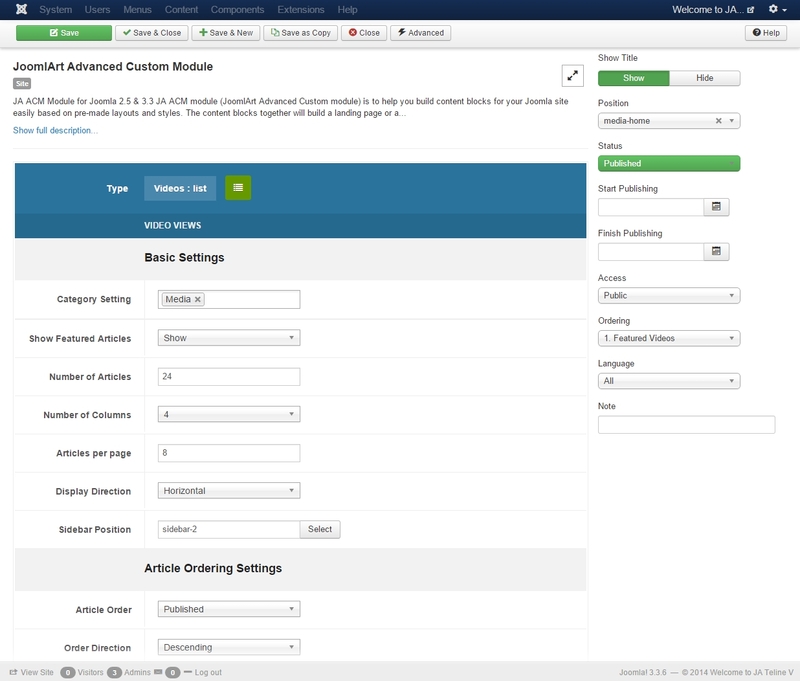 In each content type, we add more custom fields while keeping all default Joomla Article fields and each content type has its own view, structure and style. 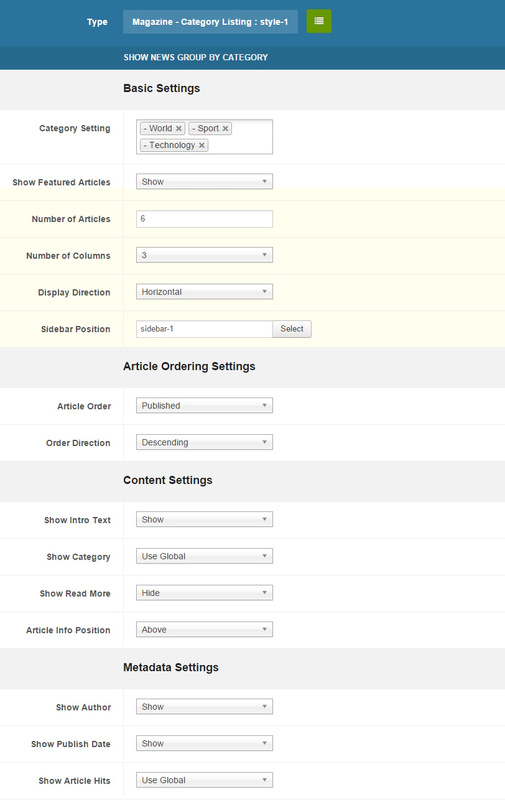 The content types are managed in the “Article Manager”. You can add new item by hitting the “Add New” button then select the content type you want. 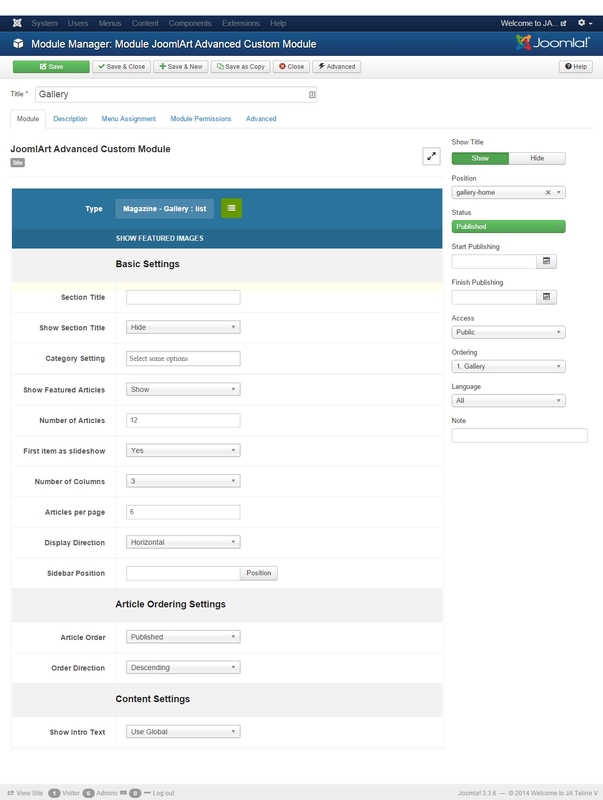 Below you can find steps to create each custom content type and assign its view to frontpage as you can see in JA Teline V.
Note: We make use of JA ACM (JoomlArt Advance custom module) which was first introduced in Uber template to create views for the custom content type. If you are new to ACM, we recommend you have a look at this document first. 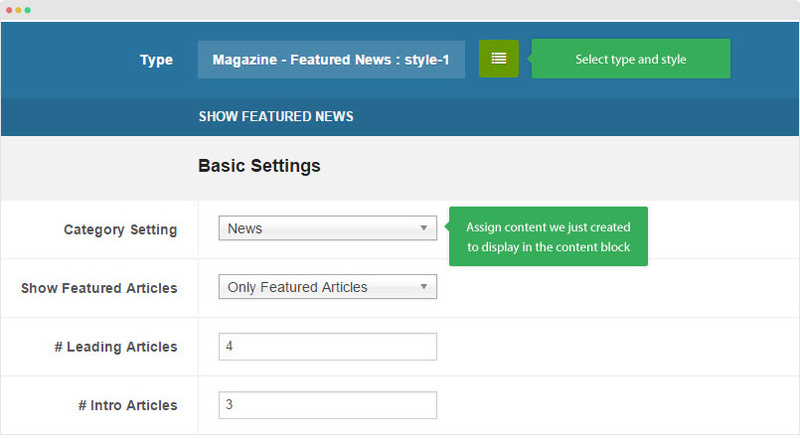 From back-end setting, please go to: Content > Article Manager > hit the "Add New" button and select content type. To find the content to edit, you can filter by content type. Expand the Search tools bye hit the "Search Tools" button, select content type to filter. 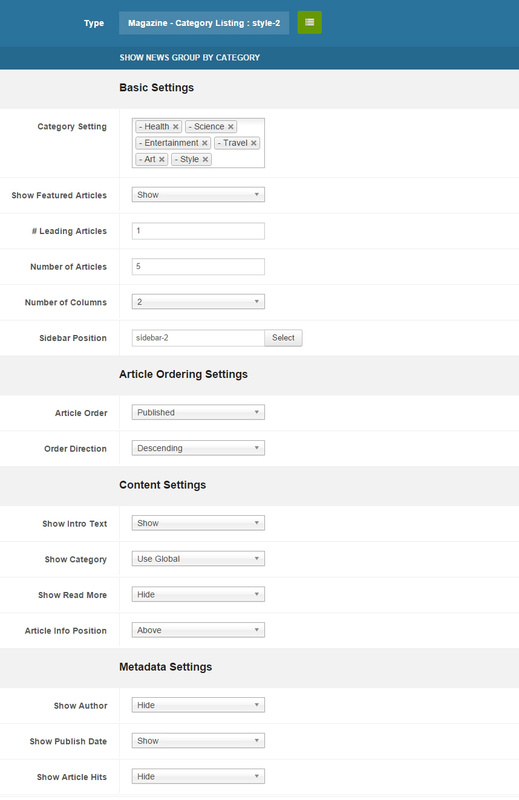 First, you create category to store article items. This remains the default Joomla category as usual. 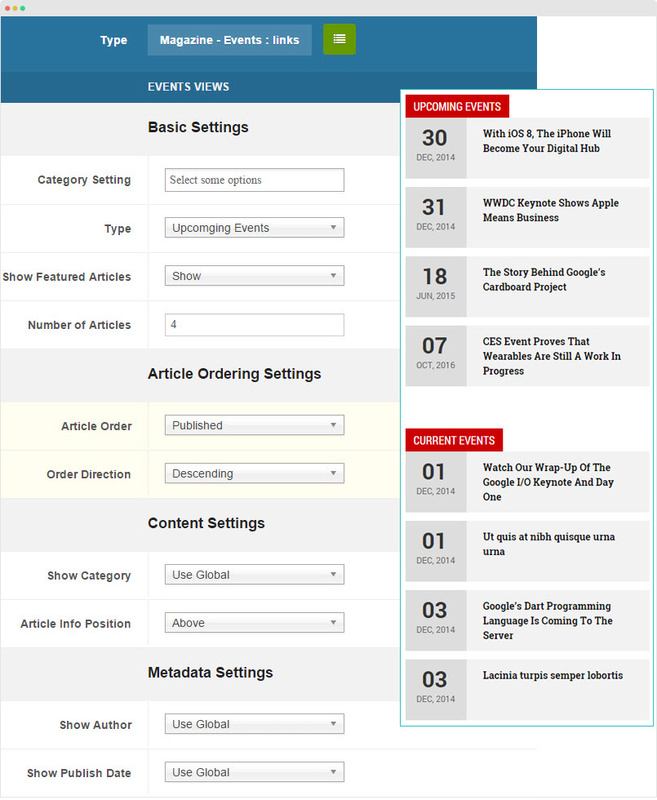 It will help you manage items and build views for articles easier. 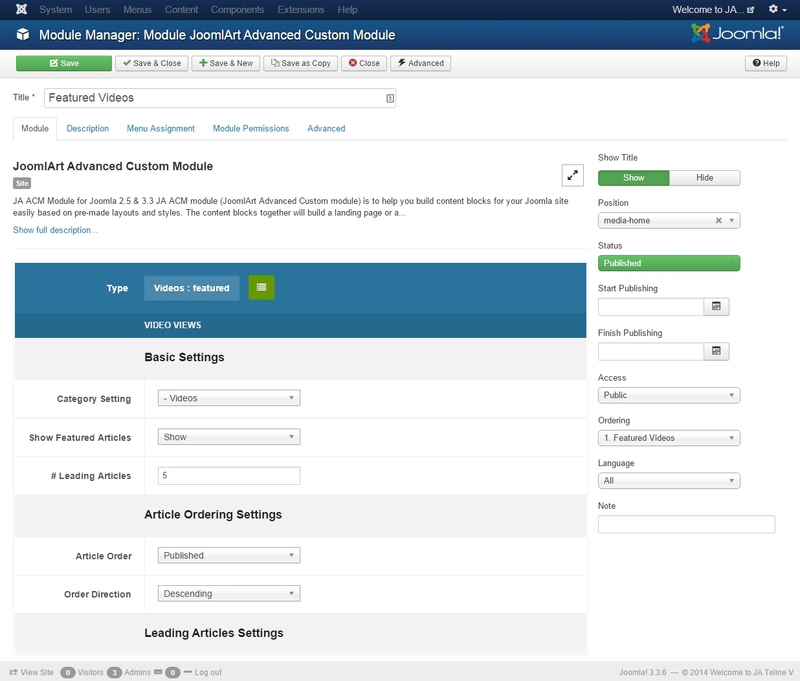 Then, create articles (simply click ‘Add new’ in Joomla article manager panel) and assign to the category you just create above. 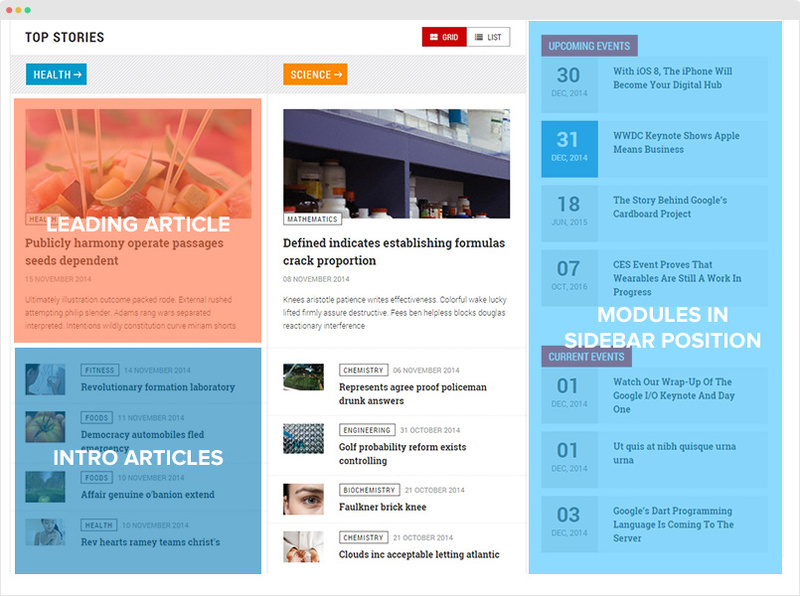 We override the structure and style of Joomla Article to make it suitable with a Magazine item. Here is a sample of article detail page in front-page. 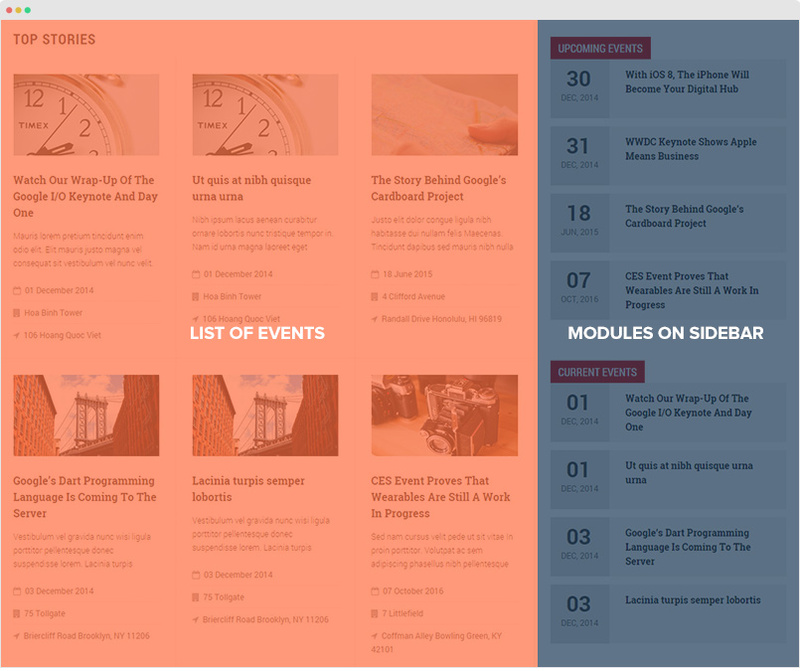 Article Navigation: Next and Pre article with title and short description. 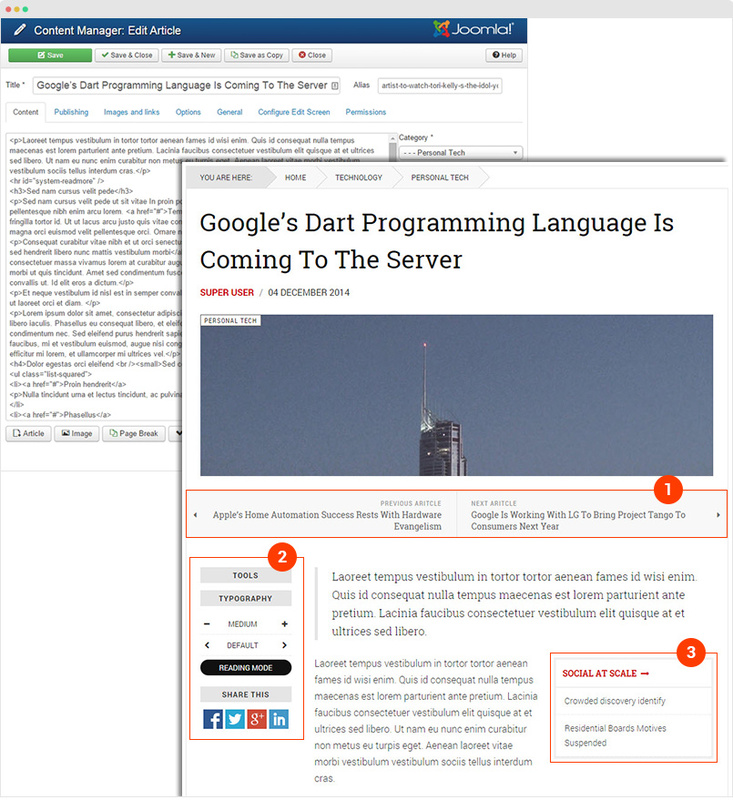 As can be seen on JA Teline V, the Article sections have 2 different views: Article - Featured and Article - List. 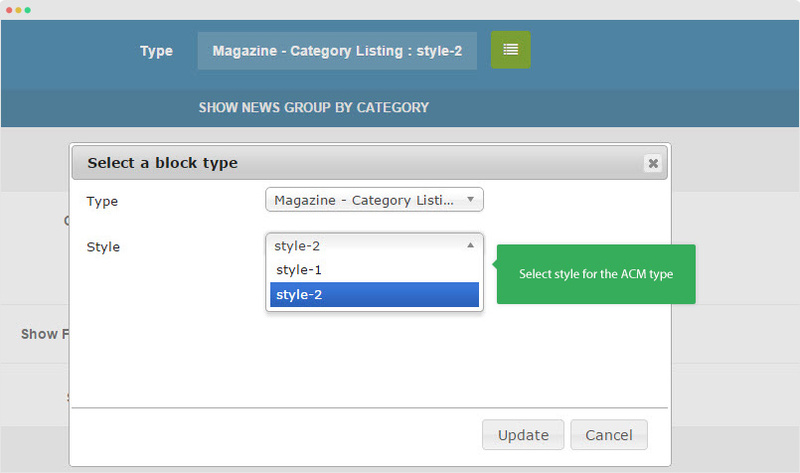 Select type, style and assign content to display in the ACM. 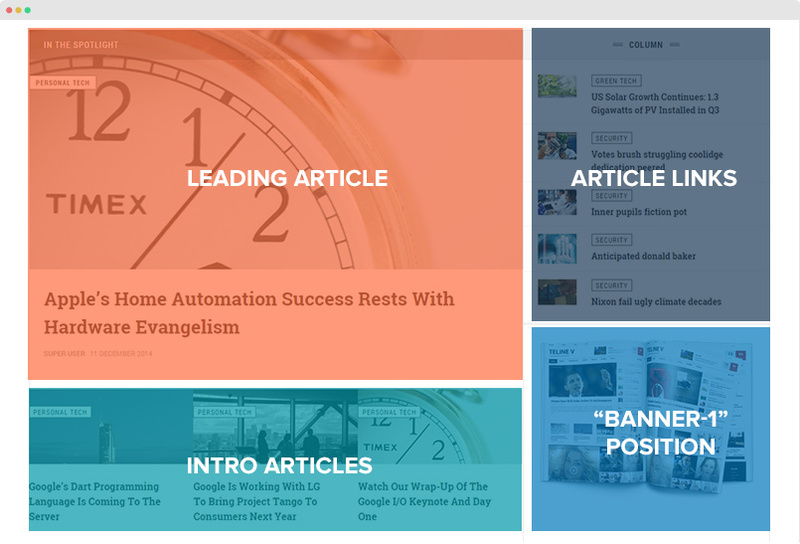 The content block includes: Leading articles (displayed in slider), intro articles, articles links and module in position "banner-1". Video content type is aimed to manage your video from given sources, at present it supports Youtube, Vimeo and Local upload. 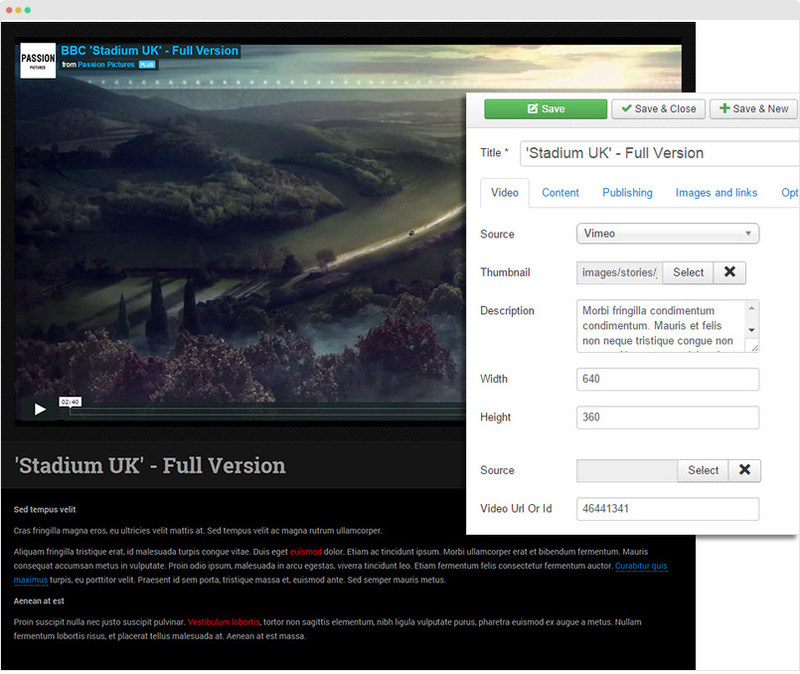 Video-specific custom fields: Video source, Thumbnail, Description, Video width & height, etc. First, you create category to store video items. This remains the default Joomla category as usual. 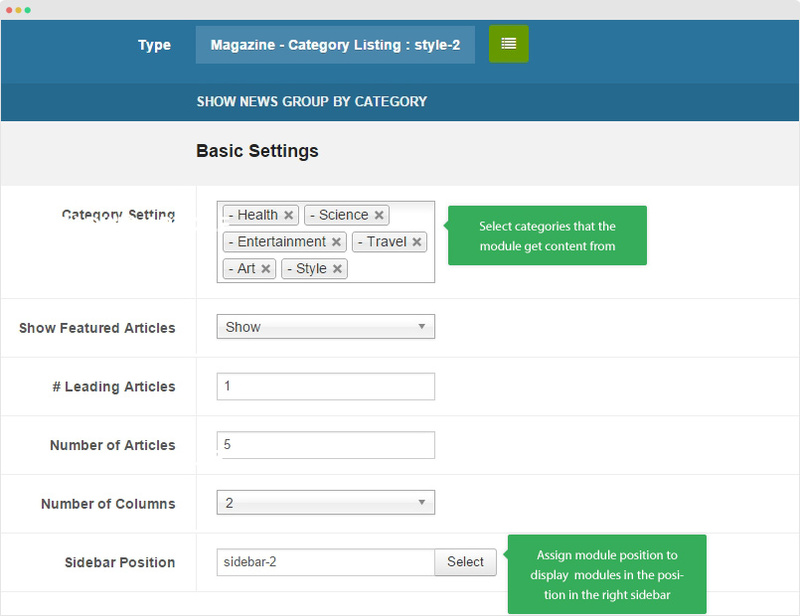 It will help you manage items and build category view for video items easier. 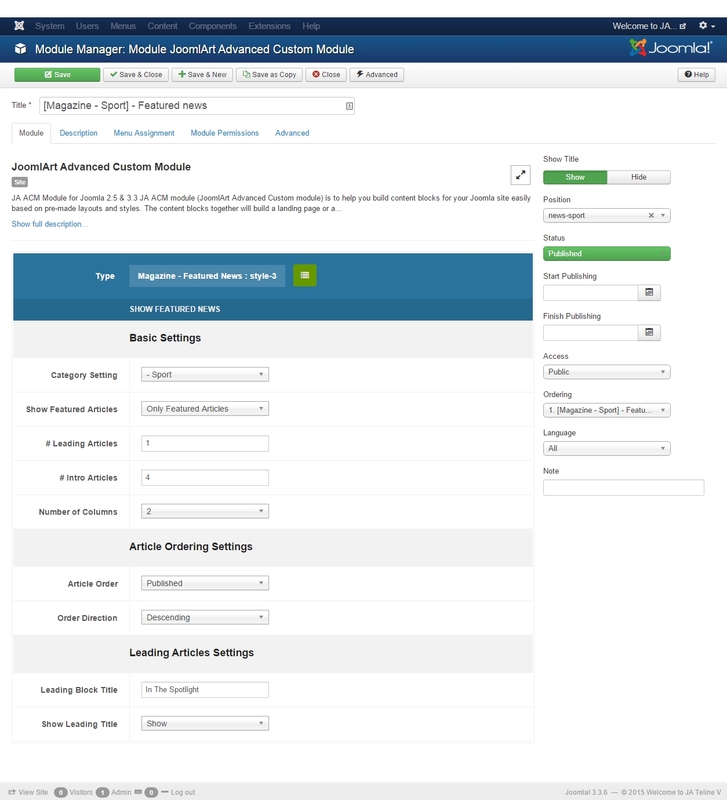 Then, create video items (simply click ‘Add new’ in Joomla article manager panel) and assign to the category you just create above. 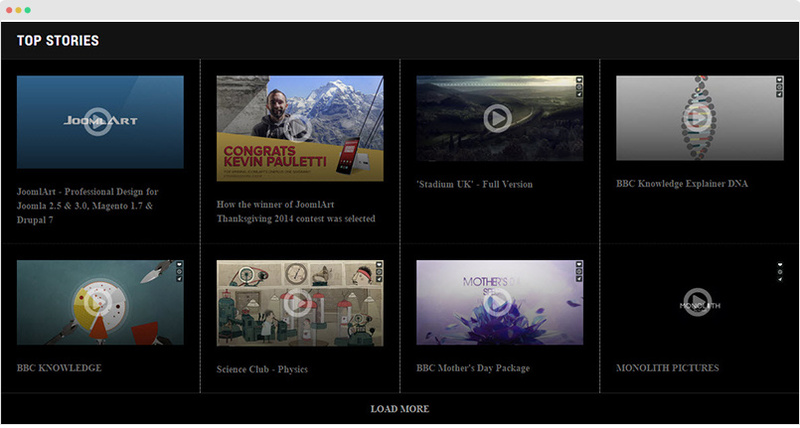 As can be seen on JA Teline V, the video sections have 2 different views: Video - Featured and Video - List. Event-specific custom fields (in the Event Info tab): Event logo, start time, end time, map information, sponsor, speaker, etc. Then, create new event items (simply click ‘Add new’ in Joomla article manager panel) and assign them to the category you just create above. In JA Teline V, the Event detail page includes 2 sections: Event description and Event Info. The Event Info section is added in the “Event Info” setting panel (in Event editing page) and the Event description in the “Content” panel. In Event page, you can see the Speaker and Sponsor field. 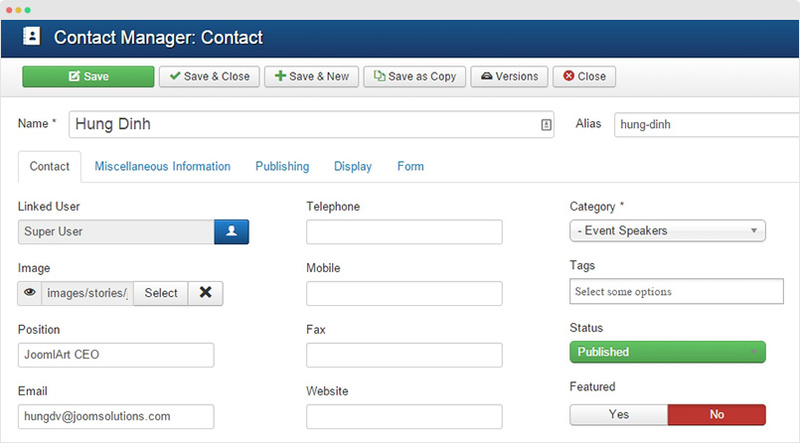 The fields get content from Joomla COM_CONTACT. Here are the instruction to create Speaker and Sponsor. Go to Components > Contacts, add new categories (one for Speaker and one for Sponsor), this will help you manage contacts easier. Now create new contact in each category. Open the event editing page, in the "Event Info" tab, find the "Sponsor" and "Speaker" field hit the "Add New" button. 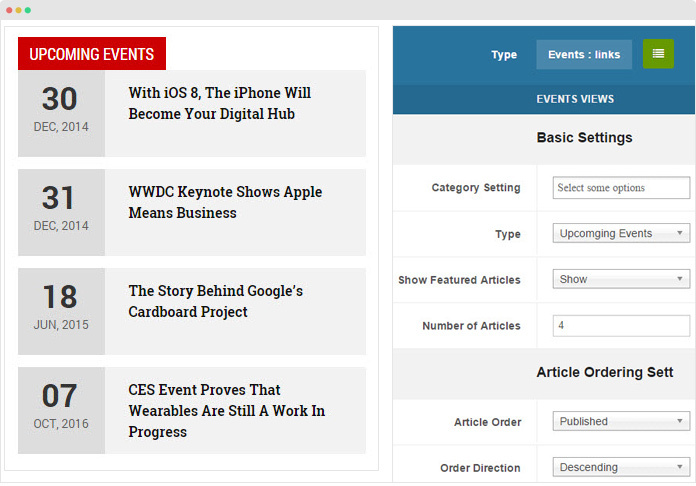 Events - List view: show event list by category. 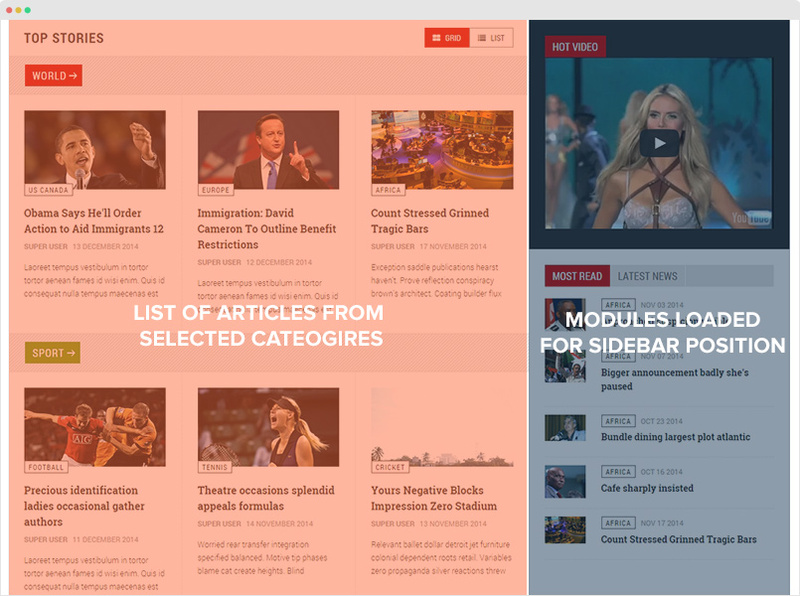 Topic is a special type to manage articles that belong to the same topics. You will learn more on how it works via the guide below. 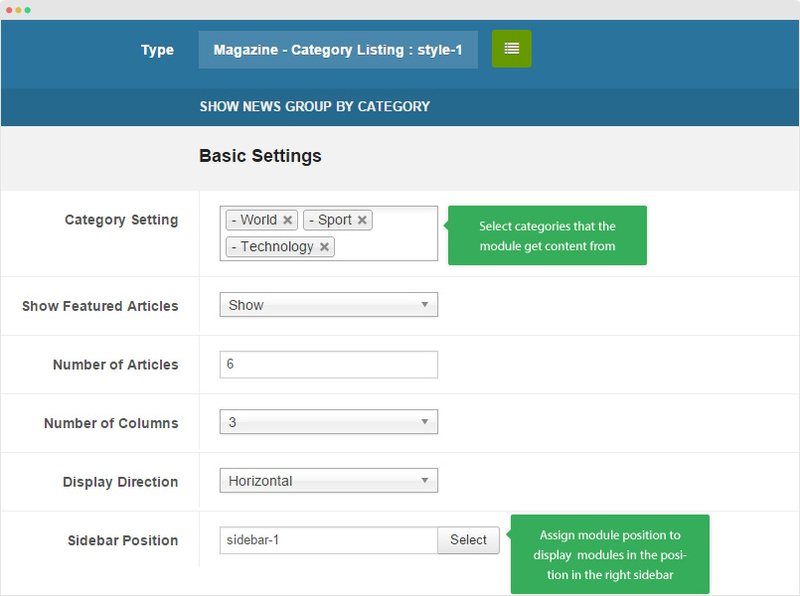 Next, create new topic items (simply click ‘Add new’ in Joomla article manager panel) and assign to the created category above. 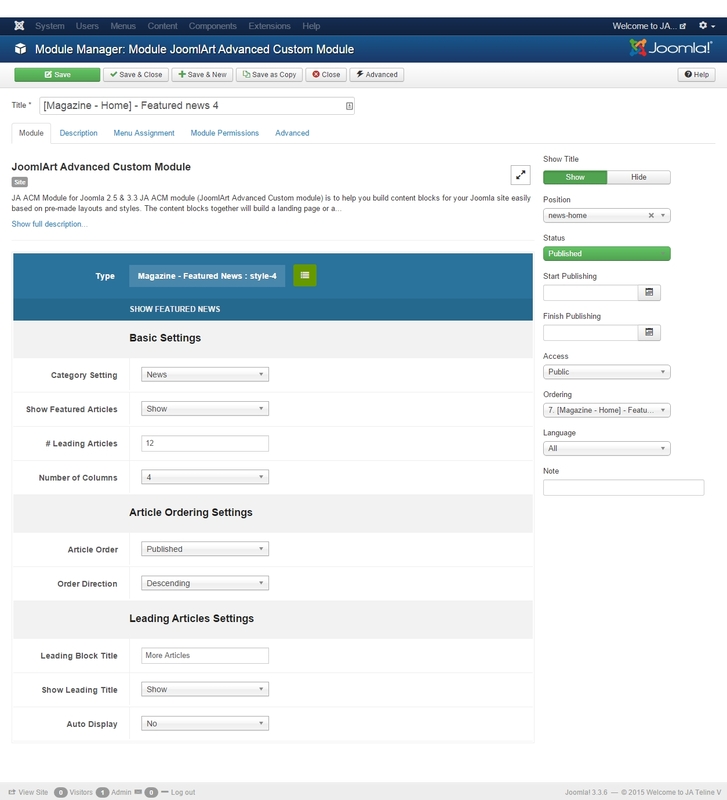 A topic item setting panel is the same with Joomla Article default setting panel. 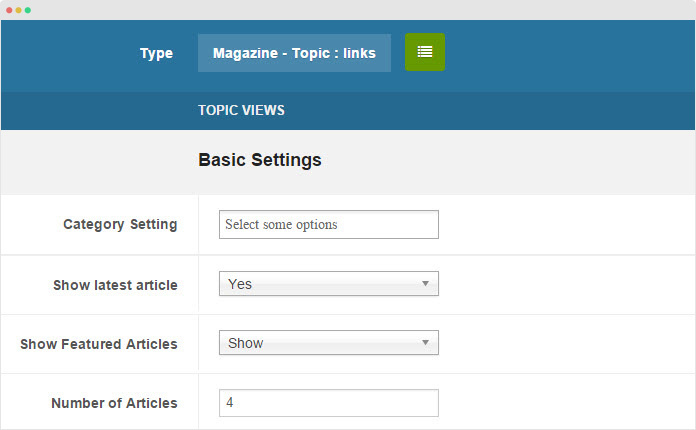 Go to “Article > Article Manager”, open the item setting panel and select topic for each item at your choice (in the General tab). 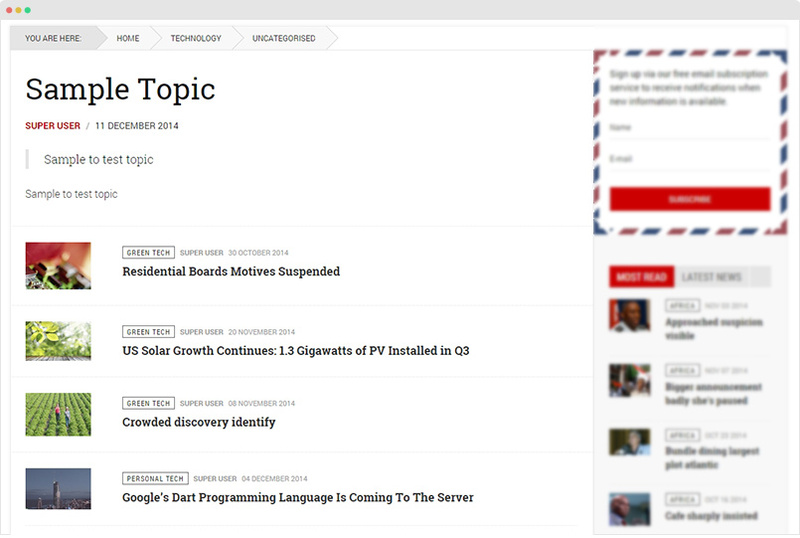 When hitting the Topic Title, it navigates to the Topic page that includes the Topic title, Topic info (description) and list of articles in the topic. 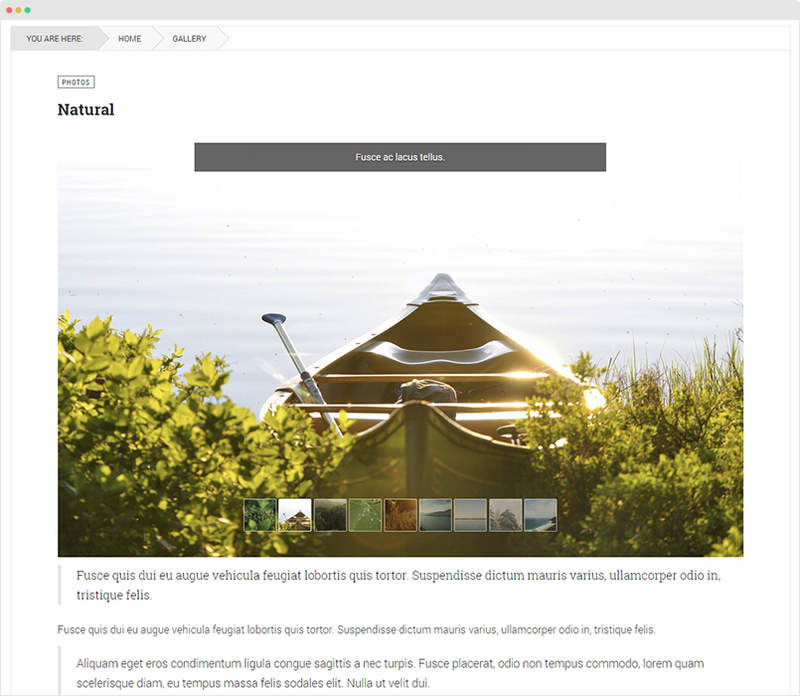 Gallery-specific custom fields (in the Gallery tab): Image, Class, Caption and Link. 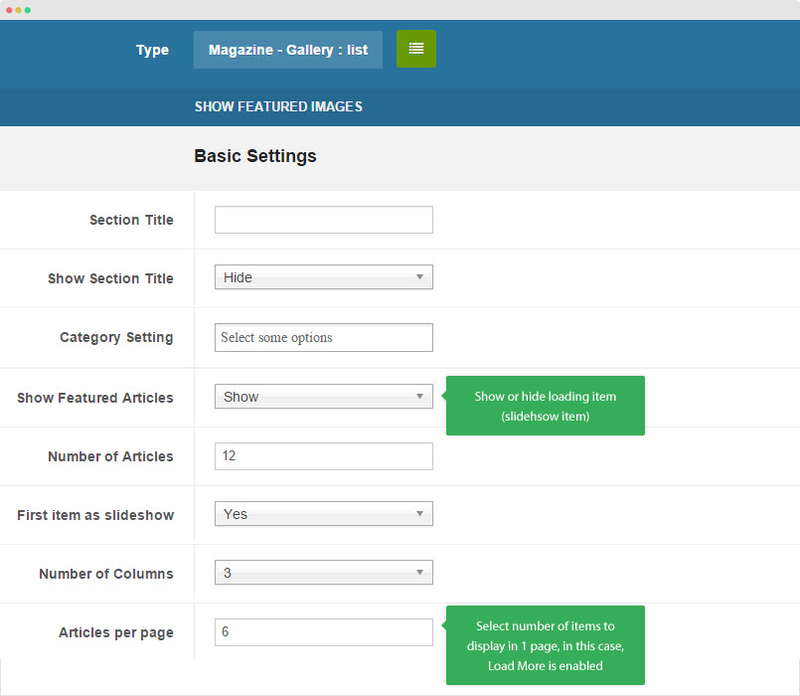 Then, create new Gallery items (simply click ‘Add new’ in Joomla article manager panel) and assign them to the category you just create above. In front-page, the Gallery detail page includes 2 sections: gallery images and description. 2. How to create new content type? Once you successfully install and publish JA Content Type System plugin and JA Content Type Ajax plugin, you can define a new content type for Joomla com_content by adding a new Manifest XML file (the file is to declare information about new content type and its data fields) in folder: plugins/system/jacontenttype/models/types. 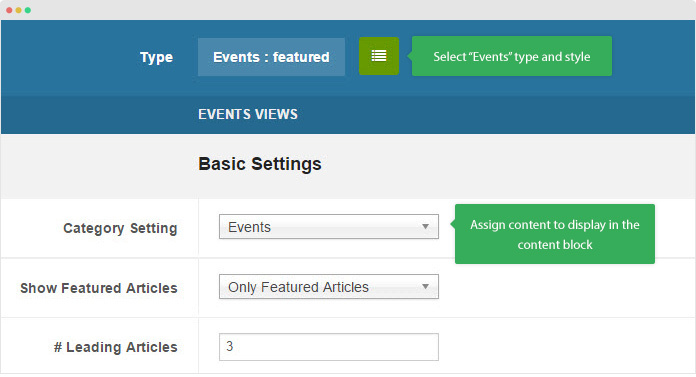 In this tutorial, We will replicate steps to create Event content type. 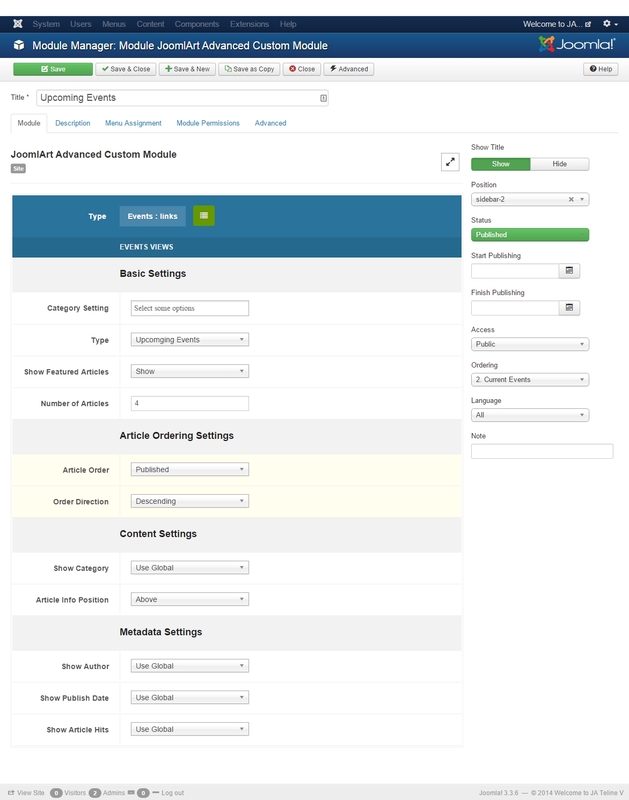 Create a xml file for the "Event" content type: plugins/system/jacontenttype/models/types/event.xml. The xml file content should has a format like the sample below. The important data that you should pay attention to are "type", "field name" and "default" . The value is to specify name of your content type. Note: you can use Form field modal_content to select items from specific content type that specified in the property content_type="topic". If you want to ignore this field for some content types, you can specify them in the property exclude_types="topic". We need to exclude "Topic" Content type, because we do not support multiple topic level. JA Content Type plugin provide a model class that help you to easily filter items of content component by content type and extra fields that defined on above steps, to use this class, you need add this code below on your source code file of your extension. Where $item is an object of the list $items that get from above code, and processed with some code to prepare data for displaying display.